Everyone deserves the same online experience. We are committed to providing a website that is as accessible as our branches. 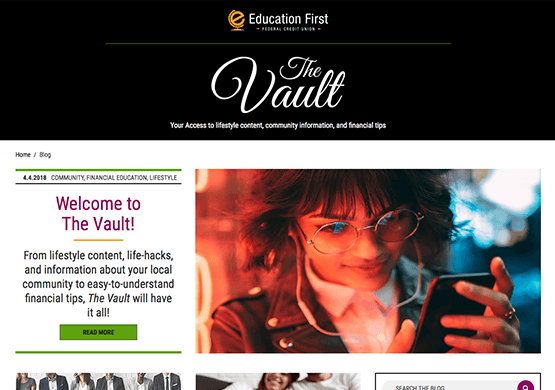 If you are experiencing difficulty accessing content on this site, please do not hesitate to contact marketing@EducationFirstFCU.org. 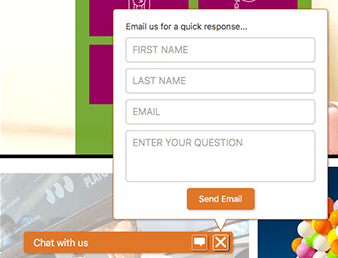 We will work with you to ensure that you have access to the publicly available content on the site. 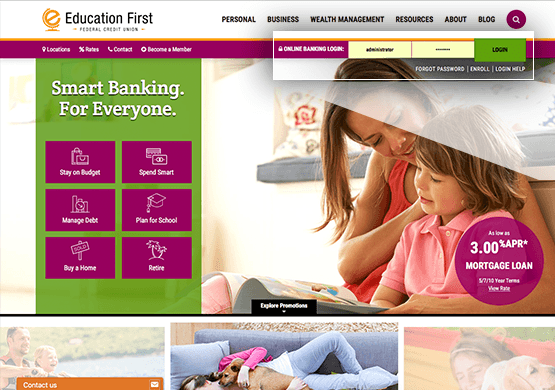 Education First Federal Credit Union is committed to providing a website that is as accessible as our branches. We have made best efforts to implement the recommendations of the Web Content Accessibility Guidelines (WCAG) as published by the Web Accessibility Initiative (WAI) of the World Wide Web Consortium (W3C). 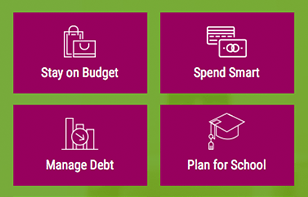 Contact us via email: marketing@EducationFirstFCU.org. 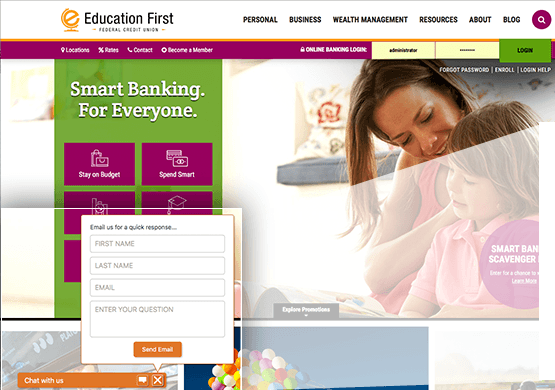 Education First Federal Credit Union strives to make every page accessible to users but cannot guarantee that every page conforms to WCAG 2.0 Level AA. Some pages have partial conformance due to the use of 3rd party vendors. 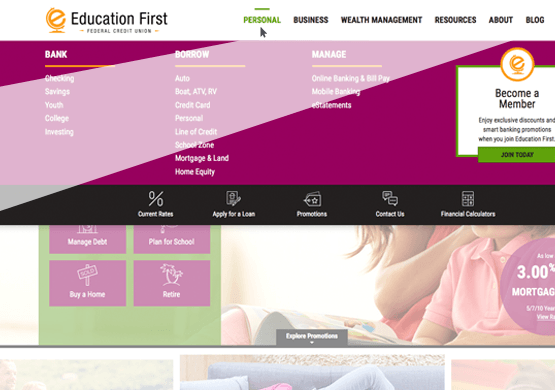 As such Education First Federal Credit Union does not claim full site-wide Conformance, instead a partial conformance, as defined by WCAG Level AA 2.0. Education First Federal Credit Union cannot ensure conformance of crucial third-party plug-ins and widgets. 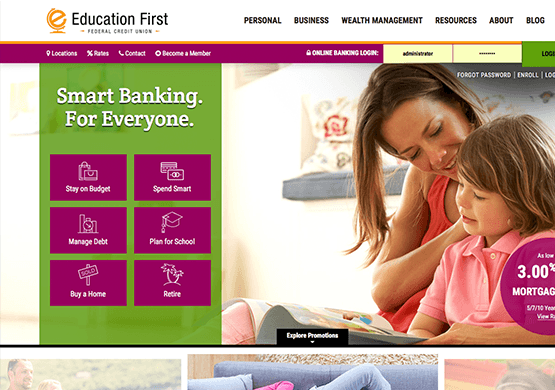 Education First Federal Credit Union acknowledges there may be difficulties with the following portions of the site: Google location services, Financial Education Videos, and chat services. Education First Federal Credit Union provides PDF documents that come from third parties, including the federal government. We cannot alter these documents to ensure their conformance. If you find difficulties in reviewing a PDF on our site, please contact us so that we may provide alternate means of access to the information in a timely manner. Our conformance claims only extend to pages within the Education First Federal Credit Union URL domain. Education First Federal Credit Union has used WCAG guidelines for conformance as suggested by the Department of Justice. 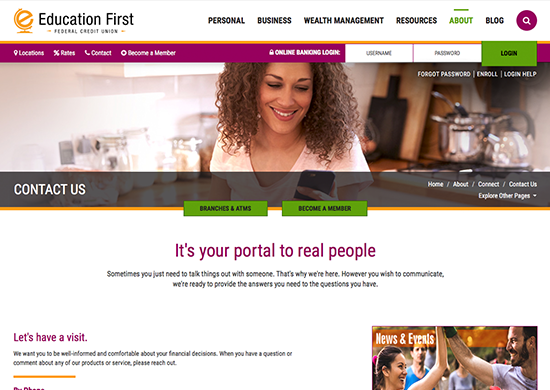 Education First Federal Credit Union chose to use WCAG for conformance because they are determined by the W3C, the consortium that makes the guidelines for the Internet, worldwide. 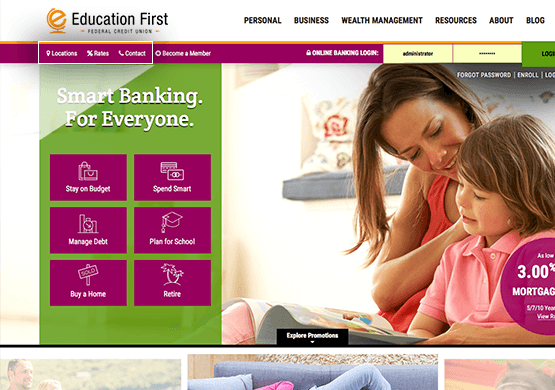 Education First Federal Credit Union uses automated testing as a baseline for conformance but understands W3C's position that '(t)here is as yet no tool that can perform a completely automatic assessment on the checkpoints in the guidelines, and fully automatic testing may remain difficult or impossible'. 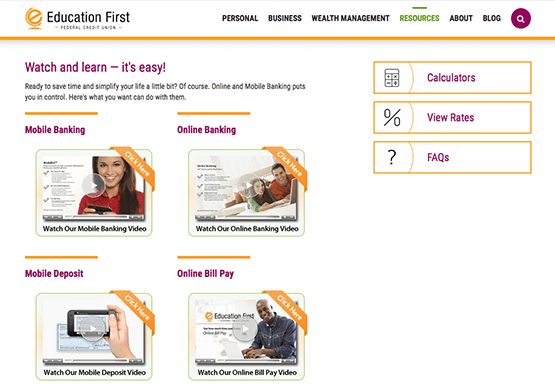 Education First Federal Credit Union has used Assistive Technologies (A) in the testing of this site, including but not limited to keyboard only, screen readers, other auxiliary aids as well as increasing font size to 200% and navigating the site without CSS (Cascading Style Sheets).